The recent Planet of the Apes prequel trilogy boasted some seriously sophisticated special effects. 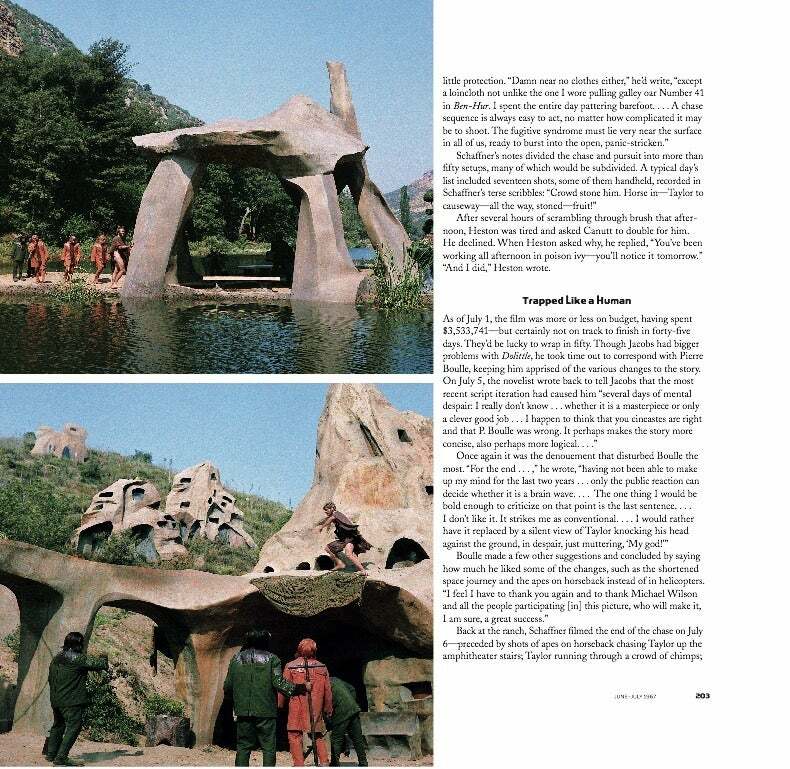 But as a new book marking the 50th anniversary of the original film reminds us, special effects have always been an important part of what makes Planet of the Apes such a compelling saga. J.W. 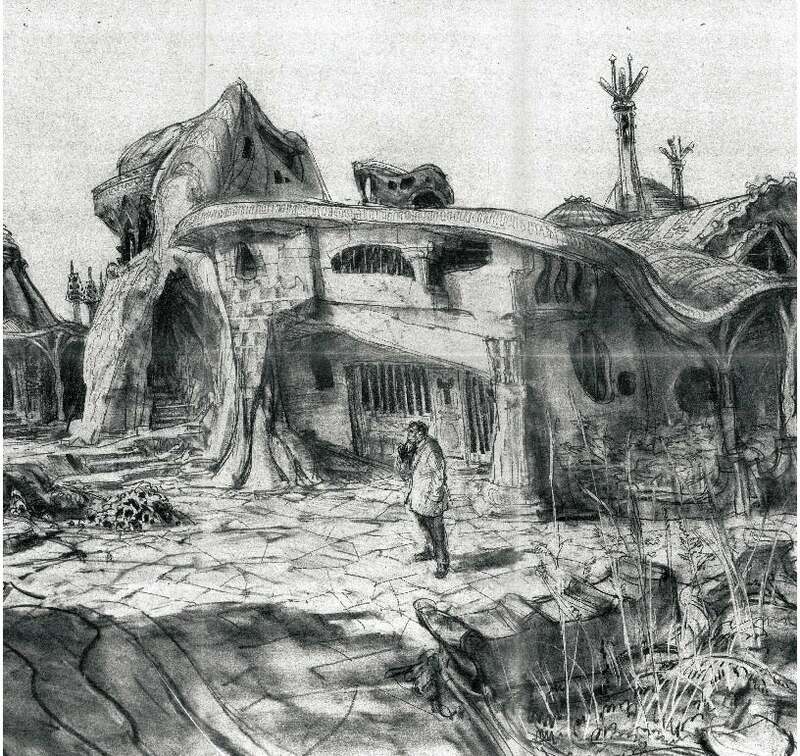 Rinzler’s The Making of Planet of the Apes, due out tomorrow, is packed full of concept art, photos, and other behind-the-scenes documents that have never been published before. It also features a foreword by Fraser Clarke Heston, son of Charlton Heston, who played stranded astronaut George Taylor in the 1968 film. Obviously, long before the advent of CGI and the motion-capture technology used in War for the Planet of the Apes and the other prequels, things like set design, prosthetic make-up, and practical special effects were a huge part of bringing the original sci-fi tale to life. Here’s a peek inside the new book, starting with a highly detailed concept drawing that shows a very human-like ape chilling out in his front yard, smoking a pipe. 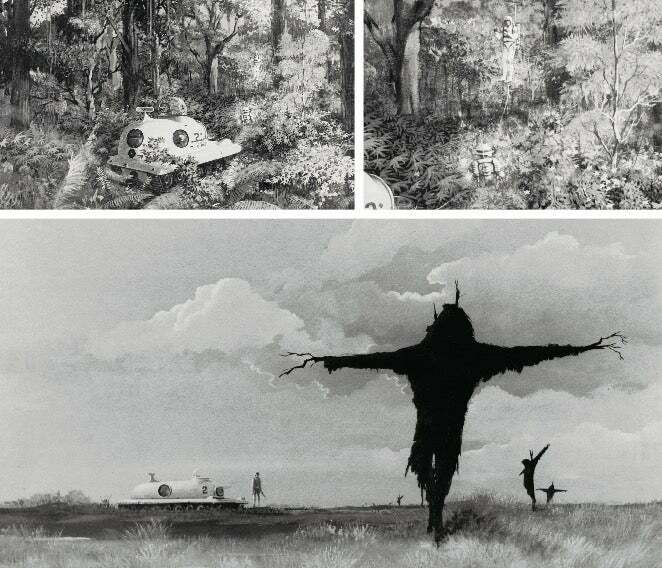 More concept art, this time depicting the astronauts’ arrival on the titular planet, as well as a trio of ominous “scarecrows” dotting the landscape. Top: An illustration by Don Peters and a detail from it (right): The astronauts use their jetpacks to explore a lusher environment. 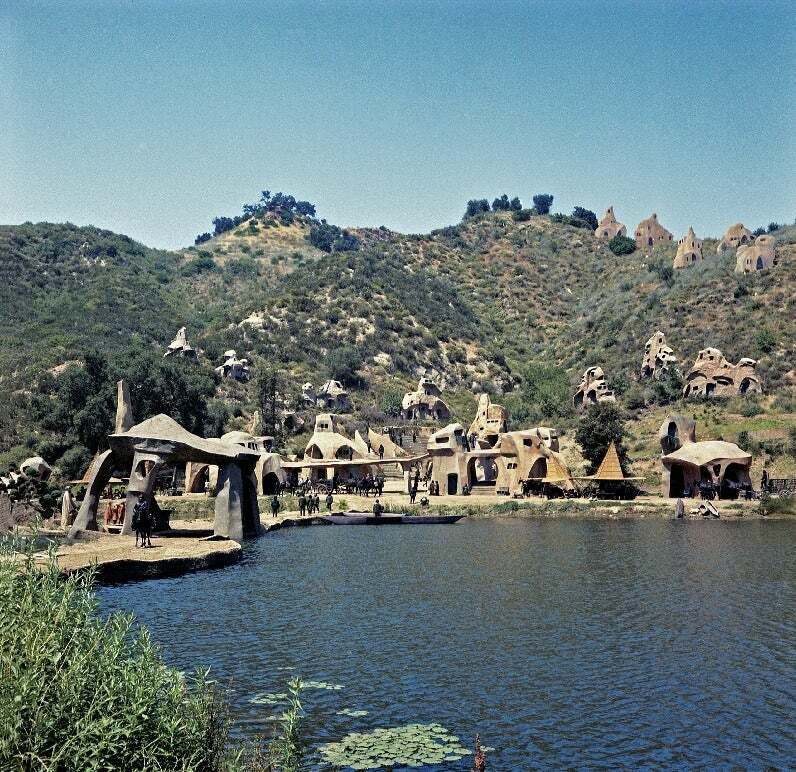 No CGI here, obviously; Apetown was a detailed, fully-constructed set. 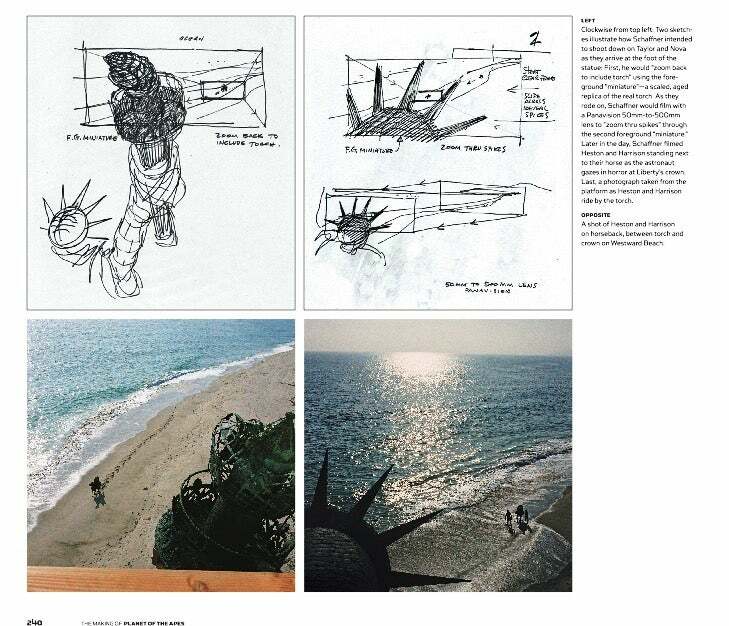 The iconic final moments of Planet of the Apes, with the big reveal of the Statue of Liberty, took careful planning, camerawork, and prop-making. Planet of the Apes TM & © 1968, 2018 Twentieth Century Fox Film Corporation. All rights reserved. Excerpt from the book The Making of Planet of the Apes by J.W. Rinzler. Copyright © 2018 by Twentieth Century Fox Film Corporation. Published on 23 October 2018 by Harper Design, an imprint of HarperCollins Publishers. Reprinted by permission. 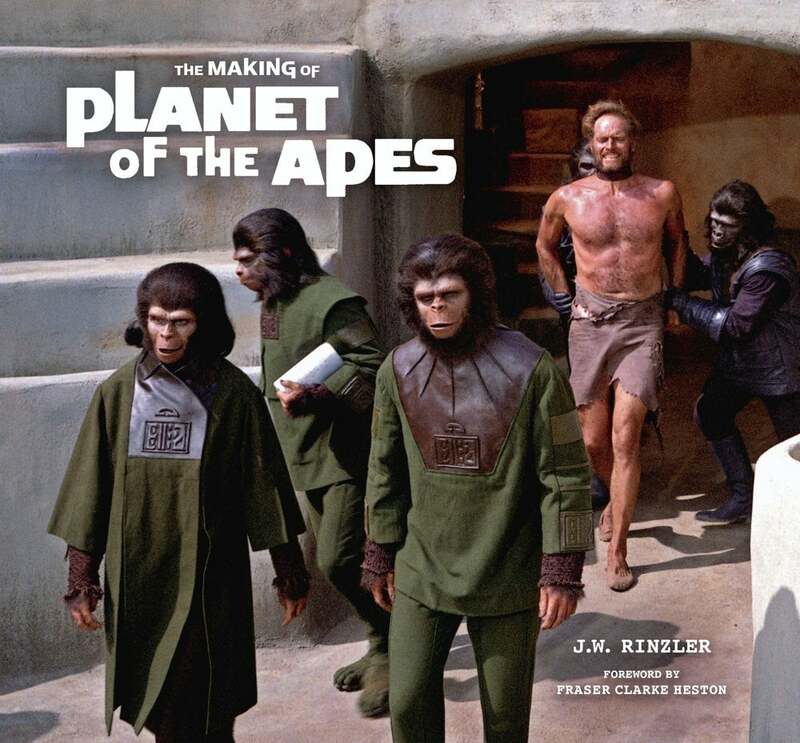 The Making of Planet of the Apes by J. W. Rinzler is out 23 October.